Day 2 of the Australian Engineering Conference was filled with offsite tours, breakout sessions, heated debates about whether robots have rights and the potential ramifications, and what ‘smart’ means in the context of a city. On Day 2 of the AEC, delegates spent their morning at tours of infrastructure projects, research centres and organisations all around Sydney. And later in the afternoon, a panel discussion about robot rights got heated, as speakers debated how engineering and ethics intersect in the age of robotics. Read our coverage here. The day wrapped up with a talk about smart cities, covering issues such as transportation, resource management, energy and the Internet of Things. And at night, the profession gathered to honour the projects, innovations and individuals from the past year that have elevated Australian Engineering. 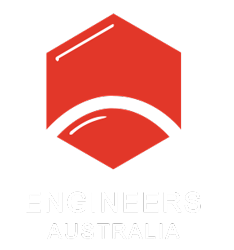 See who won at the Australian Engineering Excellence Awards here. It was a lot to take in, but here’s a snapshot of some of the day’s highlights.